scorched by circumstances, flayed, distraught. We all need resources beyond ourselves. We need the Source of life Himself. we need One to show us The Way. oil of joy and Gilead’s balm. as we sit in the embers. Support, encouragement, help and hope. A rescuer when we’re dangling on rope. And He’s here…. Jesus, Saviour, Immanuel.. God with us. 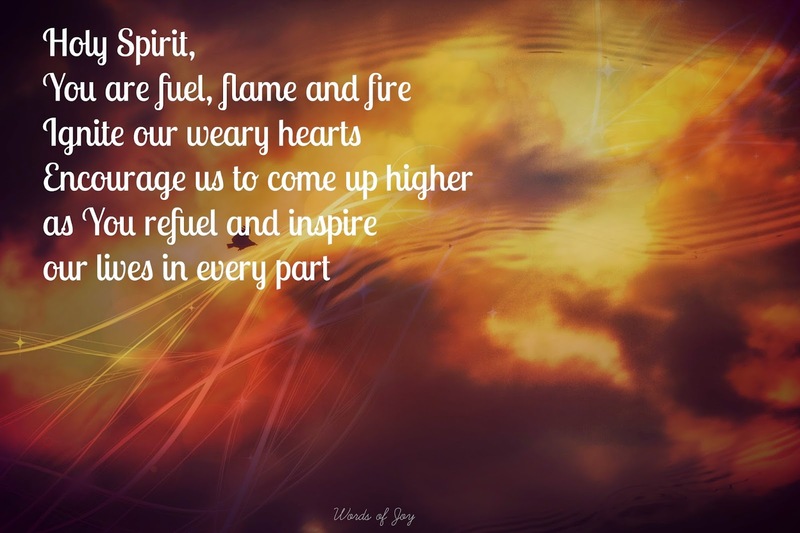 Living within by His Spirit. I’m joining Barbie and friends at the Weekend Brew today. Come and join us? Regular readers may wonder at the poetic offering featured here instead of at ‘Poetry Joy’ as usual. Strangely, I seem to think better in poetry than prose when I’m extra tired, so here we are. Hopefully, normal service will be resumed as soon as possible! Hi Joy, I came over from Barbie's Weekend Brew. I love your writing style. My prayer, Jesus be Jesus in me. Resurrection power, fill me this hour, Jesus, be Jesus in me. It's absolutely beautiful, Joy, truly beautiful. Thank you for sharing. I got chills when I read this. It so deeply spoke to my heart. Thank you for sharing and linking at The Weekend Brew! So beautiful, Joy, just as all your poetry is. I especially love the petitionary prayer. My heart cries "Amen!" Hugs!